Location: On the east side of Station Road. Station road runs between the station and the goods yard. The main station building which incorporates the stationmasters house is still extant and divided into two residences. The trackbed between the platforms has been infilled up to platform level. The substantial goods warehouse in the yard also still stands and is currently used by a local antiques dealer. Notes: Wooler was the most important intermediate station on the line, with a large goods yard and warehouse. There were four sidings on the west side of the line, one with a loop. One of the sidings passed through the substantial goods shed and another served coal drops. 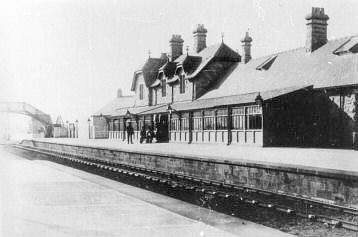 Wooler was the only station on the line with two separate platforms, a footbridge, and waiting rooms on both sides on the line. 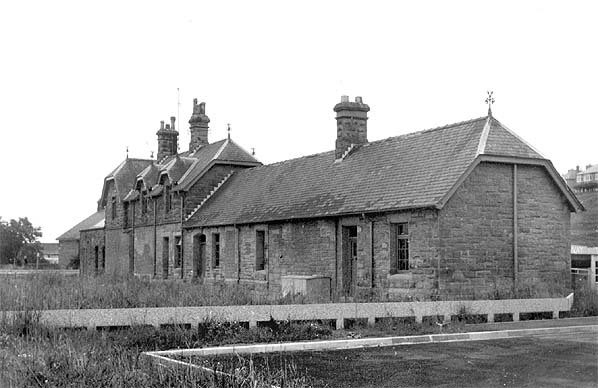 In later years Wooler station house became a Youth Hostel. To prevent any ‘carry on’ between visitors, males and females had their own separate sleeping accommodation, on opposite sides of the railway line. 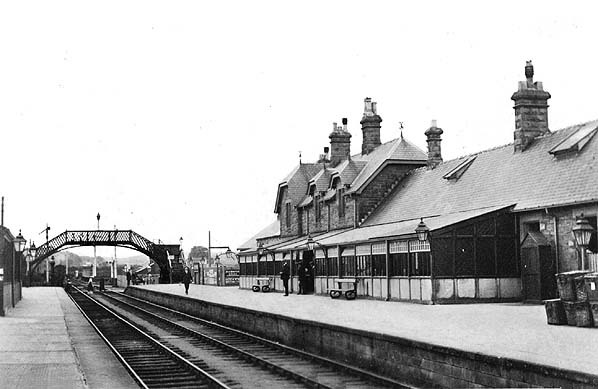 their existing station at Alnwick through Wooler to a junction with the Tweedmouth to Kelso lined at Cornhill on Tweed. During the Second World War the branch enjoyed a brief revival when Akeld station became the railhead for a new R.A.F. airfield at Milfield. After the war the airfield’s giant hangers were used for grain storage, and traffic to an from these helped keep the line open but the line's days were numbered. to Ilderton, and the other from Coldstream to Wooler bur the service was infrequent, sometimes only one train a week. 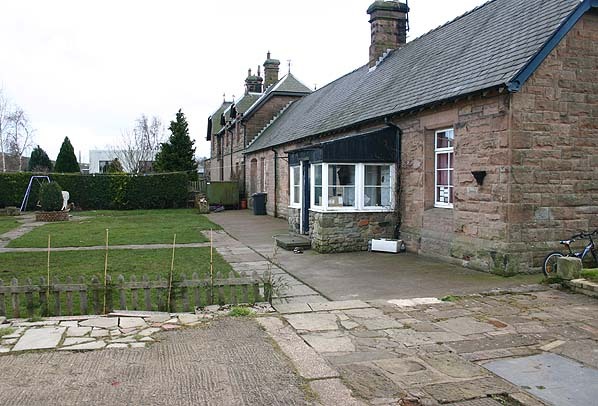 Ilderton Station web site - includes a full history if the Alnwick - Cornhill line. Historical text taken from Ilderton Station web site. Tickets from Michael Stewart. To see other stations on the Alnwick - Cornhill (Coldstream) line click on the station name: Alnwick, Edlingham, Whittingham, Glanton, Hedgeley, Wooperton, Ilderton, Akeld, Kirknewton, Mindrum & Coldstream.